Several years ago, we added Shakespeare to our family’s educational activities for the first time. My daughter loved our field trip to the Oregon Shakespeare Festival in Ashland, and I don’t think I ever would have thought of introducing my children to The Bard at such a young age if it weren’t for the inspiration of Charlotte Mason, a British educator from the late 1800’s, and some of the people currently writing on Charlotte Mason topics such as Catherine Levison and Karen Andreola. Before we chose a play to study, we looked at the schedule for the Oregon Shakespeare Festival. We decided the most child-friendly plays that season were “A Midsummer Night’s Dream” and “A Comedy of Errors.” Since we were able to prepare more fully for seeing “Dream,” I’ll tell you what we did in preparation for that particular play. First, we read through Charles and Mary Lamb’s version of “A Midsummer Night’s Dream” in Tales from Shakespeare just to enjoy the plot and make sure we understood the basic story line before attempting to wade through the Elizabethan English of the play itself. Then we read “Dream” aloud together. It was amazing how quickly we began reading the original work with ease. The first scene or two was a struggle for me to read aloud since I hadn’t had much personal experience with Shakespeare other than a class in high school and seeing several plays. But before long, I found myself not only reading the language fluently, but also starting to think in Shakespearean-type phrases. It really grows on you! After we read through the play itself (twice), we went to the local library’s inter-library loan system and checked out a video of the New York Shakespeare Festival’s production of “Dream.” Seeing William Hurt as Oberon, King of the Fairies was interesting — a very unusual rendering of the part. We watched the video several times, and even my eight-year-old son enjoyed it tremendously. Then for the grand finale of our study, my daughter and I saw “A Midsummer Night’s Dream” performed live during our trip to Ashland. It was all-in-all a wonderful experience. When preparing for “A Comedy of Errors,” we weren’t able to locate a video tape of the play, and the audio tape we found wasn’t very high quality, so we sufficed with reading the play itself several times and then seeing it performed live. Personally, there’s nothing quite like seeing a live production of Shakespeare. His plays were intended to be seen performed on the stage with live actors — not read from a book with all the stage directions, etc. If you don’t have a professional Shakespearean company close by, don’t despair. 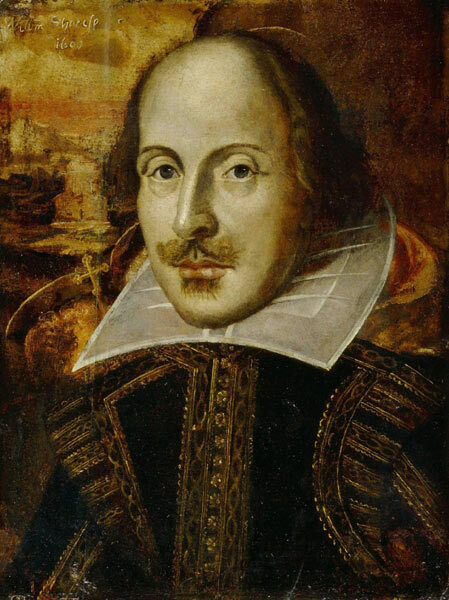 Check for local high school and college productions of Shakespeare’s plays (these are often very good productions and not nearly as expensive as seeing a professional Shakespearean company). Also, I regularly check through our local “What’s Happening” guide in the newspaper and frequently find Shakespeare being offered in nearby towns and with local production companies. Several years ago, I was interviewed about studying Shakespeare with children by Mike Farris (Chairman of the Homeschool Legal Defense Association) on the Homeschool Heartbeat radio program. To read transcripts and listen to the audio versions of the interview, click here.